A United Nations human-rights committee voted to hold North Korea accountable for crimes against humanity, spurning a diplomatic campaign waged by the totalitarian regime to protect leader Kim Jong Un from any possibility of prosecution. The non-binding resolution drafted by the European Union and Japan was adopted with 111 votes in favor, far more than the majority required. While the text doesn’t single out Kim Jong Un by name, it calls on the Security Council to refer North Korea’s rights situation to the International Criminal Court. China’s diplomats at the UN have said their country would use its veto power on the Security Council to block any referral to the court. North Korea may also be seeking support on the Security Council from Russia. Marzuki Darusman, the UN’s special rapporteur on human rights in North Korea, said the country’s leader Kim Jong-un was guilty of “complicity in crimes against humanity” and “should be held responsible” by international justice. Darusman made the remark at a press conference in Seoul, in reference to a UN report and a subsequent resolution that called for North Korea’s referral to the International Criminal Court (ICC). He added that the report “was able to point unequivocally to the responsibility and the culpability (for) these massive human rights violations to a single source of policy decision-making in the country”. In March, a UN commission of inquiry published a detailed report which accused Pyongyang of carrying out “crimes against humanity” comparable to those committed by the German Nazis or the apartheid regime in South Africa. Kim Jong-un ignored the UN letter that “directly put culpability on the supreme leader for these massive human rights violations”, according to the UN envoy. The UN General Assembly is scheduled to vote on the resolution. North Korean leader Kim Jong Un will send a special envoy, Choe Ryong Hae, to Russia next week, both countries announced Friday, in a trip expected to focus on how to boost ties at a time when his country faces deepening diplomatic isolation. The ministry said in a statement that Russia hopes to discuss trade and economic ties, the situation on the Korean Peninsula and in Northeast Asia, and other international issues. Choe’s trip also appears aimed at easing North Korea’s diplomatic isolation, said analyst Cheong Seong-chang at the private Sejong Institute. Choe, a senior Workers’ Party official, is considered as one of Kim’s close associates. He visited Beijing last year as a special envoy and told Chinese President Xi Jinping that North Korea would take steps to rejoin stalled nuclear disarmament talks. 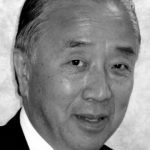 Choe was also a member of a high-profile North Korean delegation that visited South Korea in early October and agreed to resume senior-level talks. The talks, however, haven’t moved forward because of tension over propaganda leaflets that South Korean activists send by balloon across the border into North Korea. Russia and North Korea maintain cordial ties, but are not as close as they were during Soviet times, when Moscow provided significant aid and support to Pyongyang. For North Korea, better ties with Russia could provide a much-needed economic boost because its ties with China are not as strong as they once were. Russia, for its part, has been seeking to bolster ties with North Korea amid a longtime effort to strengthen its role in Asia. According to North Korea Tech, which monitors technology in North Korea, foreign visitors now have to de-activate their Sim cards upon departure from the country. They can buy cards which give web access on entry but, in the past it was possible that they could be left behind, still loaded with unused internet access for locals to use. That gap has been plugged. So has the possibility that North Koreans near foreign embassies and the offices of international organizations could access the buildings’ wi-fi. In August, foreign missions were told that “signals of regional wireless networks… produce some effect on our surroundings” and, therefore, their licenses were revoked. The ban followed a report on a South Korean website that demand for property around embassies in Pyongyang had risen because of the ability of neighbors to furtively make use of unencrypted wi-fi. There is a continual game of cat and mouse between the North Korean authorities and people who want to talk to the outside world – for which there are fierce penalties. “It’s easier to get near the Chinese border and there you do see people inserting Chinese Sim cards into their phones, or they’ll have smuggled phones from China.If they can get onto the Chinese cellular network, they can make calls to anywhere in the world. They can also access the internet without the North Korean government stopping them. Christian groups in North Korea are vowing to carry on their missionary work despite mounting risks since Korean-American activist Kenneth Bae was imprisoned two years ago. North Korea and neighboring China have clamped down on the groups’ activities recently, and the organizations say that has forced them to become more secretive. Bae’s unexpected release has not changed that. Bae has remained silent on his missionary work and his imprisonment. On Monday, Bae’s sister said he would not do interviews. Such reticence is necessary, said one U.S.-based activist, because of the dangers involved in propagating religion, especially in an overt, organized way, in a totalitarian state. “If one person is caught, then everyone else can suffer the consequences,” said Sam Kim, executive director of the Korean Church Coalition for North Korea Freedom, which is based in Southern California. “We have to come up with a strategy to avoid another case like Kenneth Bae’s,” said Kim Seung-eun, a missionary for the Caleb Mission, which is based in South Korea’s South Chungcheong Province but frequently travels to North Korea. Open Doors, a group that monitors religious persecution globally, says North Korea is the worst country to be Christian. It says 70,000 Christians are in labor camps there. The clamp-down on Christian-backed humanitarian organizations along the North Korea-China border has made it harder for activists to aid fleeing North Koreans. “The people I talk to – the rescuers – say that it’s tough right now,” said Melanie Kirkpatrick, who has written a history of the “underground railroad,” the network that helps people escape from North Korea. 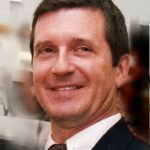 The North Koreans passed word they wanted a high-ranking U.S. government official for the job, so President Barack Obama sent a gruff former general to spirit home two Americans held captive. Director of National Intelligence James Clapper is no diplomat by training, and that’s perhaps just why he earned the clandestine call. For past visits to the unpredictable and reclusive country, the United States has sent smooth-tongued luminaries such as former Presidents Bill Clinton and Jimmy Carter, and former U.N. Ambassador Bill Richardson. Or North Korean experts, one of whom was Sydney Seiler, a former intelligence official who is now with the State Department. But analysts who follow North Korea say Clapper may have been perfect for the role. The spy chief was senior enough to convey a message of respect to the North Korean. But he is not a diplomat, so he could beg off any unrelated demands the North Koreans may have made. The two countries do not have diplomatic relations. “The director of national intelligence was just the right person for this,” said Joseph DeTrani, who used to work for Clapper as his North Korean mission manager. On Saturday, Clapper landed on a U.S. government plane with the two Americans, Matthew Miller of Bakersfield, California, and Kenneth Bae of Lynnwood, Washington, at Joint Base Lewis-McChord, near Tacoma, Washington. Many analysts suggested that the conciliatory moves, after years of bellicose rhetoric and inflammatory actions, were in response to recent pressure over North Korea’s human rights record. Few people know how or why Pyongyang decided to release two American prisoners over the weekend. Acts of leniency from the autocratic North Korea are rare indeed. But one man who could shed light on an uncommon act of diplomacy is Kun “Tony” Namkung, a mysterious intermediary who has for years negotiated with the unpredictable regime. With no official position, Kun ‘Tony’ Namkung seems to have played a central role in the sudden release of three American prisoners. 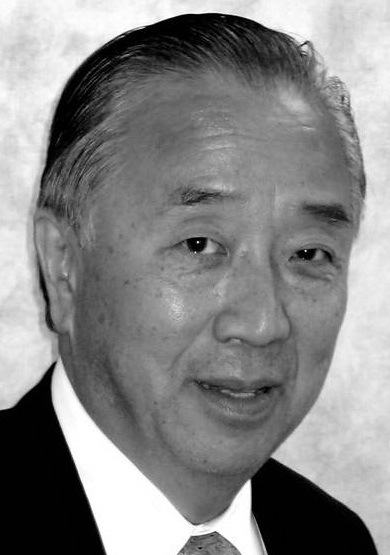 Offering sensitive advice to high-level US, Japanese and South Korean figures in their dealings with North Korea, Mr Namkung, 67, has played a critical backstage role in bringing about the release of three Americans: first, last month, Jeffrey Fowle, and then, at the weekend, the missionary Kenneth Bae and “adventurer” Matthew Todd Miller, both sentenced to hard labour for “hostile acts”. On his most recent visit to Pyongyang last month, Mr Namkung lobbied hard with a wide range of contacts to win freedom for all three of the Americans. His efforts followed a prolonged campaign for mercy for 46-year-old Mr Bae, arrested two years ago for trying to spread “Christian propaganda” while leading a tour group from China to the industrial zone at Rason near the Chinese border. Mr Namkung knew Mr Bae’s and Mr Miller’s release was imminent when Mr Fowle, who had been detained at a hotel awaiting trial, was told 30 minutes before being taken to the airport that he was going home. “One down, two to go,” Mr Namkung, who holds a doctorate from the University of California, Berkeley, emailed after Mr Fowle’s release. The release of Kenneth Bae and Matthew Miller is the latest twist in the fitful relationship between the Obama administration and the young North Korean leader, Kim Jong Un, whose approach to the U.S. has shifted back and forth from defiance to occasional conciliation. A senior Obama administration official said the president approved the mission last week and U.S. officials spent the next several days planning the trip. James Clapper, the director of national intelligence, spent roughly a day on the ground and met with North Korean security officials — but not with Kim. Clapper went with the sole purpose of bringing home the two detainees, although the U.S. anticipated that other issues of concern to the North would come up during Clapper’s discussions, the official said. Kenneth Bae and Matthew Miller landed Saturday night at a Washington state military base after a top U.S. intelligence official secured their release from the reclusive Communist country. Bae, surrounded by family members, spoke briefly to the media after the plane carrying him and Miller landed about 9 p.m. He had been serving a 15-year sentence for alleged anti-government activities. He was detained in 2012. “I just want to say thank you all for supporting me and standing by me,” he said. His family has said he suffers from diabetes, an enlarged heart, liver problems and back pain. U.S. officials said Miller of Bakersfield, California, and Bae of Lynnwood, Washington, flew back with James Clapper, the director of national intelligence. Clapper is the highest-ranking American to visit Pyongyang in more than a decade. 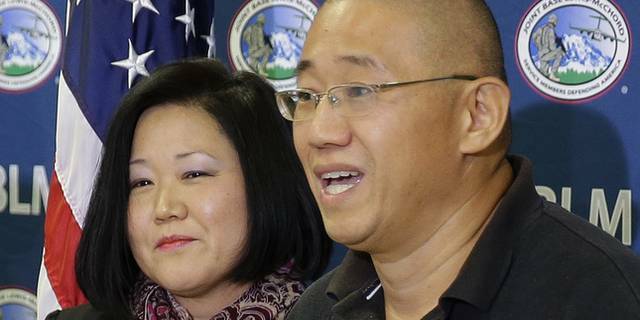 U.S. citizens Kenneth Bae and Matthew Todd Miller have been released from North Korea, where they were detained for two years and seven months, respectively, the U.S. State Department announced Saturday. “The safety and welfare of U.S. citizens abroad is the Department of State’s highest priority, and the United States has long called on [the Democratic People’s Republic of Korea] authorities to release these individuals on humanitarian grounds,” spokesperson Jen Psaki said in a statement. James Clapper, the director of national intelligence, took part in discussions with North Korea about Bae’s and Miller’s release. Accompanied by Clapper, the two were en route back to the United States to be reunited with their families Saturday. “We welcome the DPRK’s decision to release both Mr. Bae and Mr. Miller,” said Brian P. Hale, the director of public affairs for the office of the director of national intelligence, in a statement.